On June the 13th the M.S.K.F will be holding a test day to begin the process of choosing a competition squad. The initial decision lies with your own individual instructors regarding your level of competence and suitability for squad training and not the M.S.K.F. All clubs affiliated to the M.S.K.F will be given the opportunity to send students to the training sessions. 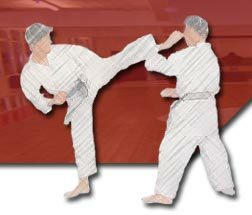 Sessions will be held at Stafford Martial Arts Academy Browning Street Stafford. To be part of the squad you will have to be dedicated to the training sessions and make every effort to attend. Note: - Squad training will not be like a normal lesson you will be coached towards forming a team to enter future competitions. There will be a small fee of £1 per session to cover expenses of the instructor.